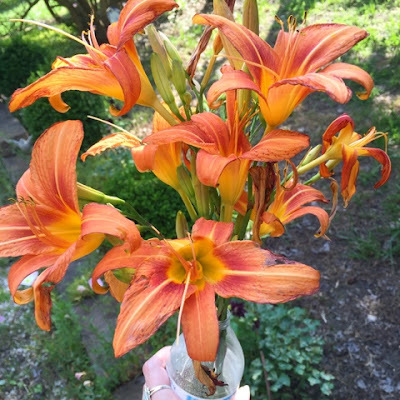 My friend Amanda is such a sweetheart... She picked these lilies for me on the side of a country road and brought them to me yesterday. It made me laugh to think of that cute little pregnant southern lady on the side of the road picking them. ;) I love that lilies make others think of my girl.